How Online Mobile Recharge Apps Have Changed The Way Of Living Life? Networking and staying connected has become quite essential for all of us these days. And we need mobile for this having enough recharge. Earlier, we all used to run the mobile shop to buy the paper recharge. Sometimes, it used to become quite annoying situation when you need recharge either midnight or early in the morning. But with the advent of online mobile recharge, it became easy to get the recharge done on time. To stay connected professionally and personally, you need to have suitable recharge otherwise your mobile would not be useful to you. Long chats and calls with friends can leave having no recharge and therefore you need a handy online mobile recharge at the moment. What would you do in this situation? Would you run to any shop? And what it is midnight or early in the morning? You might not get the option to resume your conversation. Fortunately, online mobile recharge apps such as mobiqwik, Freerecharge, Paytm have made possible for us to get mobile recharge done quickly and safely. And you can resume your conversation once again. These online mobile recharge apps have made possible for users who always love to be available all the time. All you need to have an online banking facility to get a mobile recharge in a jiffy. Moreover, doing online recharge is quite easy. You do not need to contemplate that way much. It is quite easy to recharge mobile even when you do work with a computer that way much. The easy-to-navigate interface makes it easy. At the time of doing online recharge, all you need to specify the amount you wish to recharge first. And then follow the rest guidelines and online recharge will be done through few clicks. A paper recharge would not need you anymore. 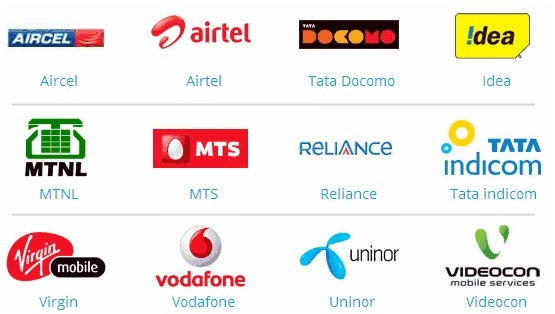 All you need to access your mobile and your desired online recharge app to recharge your mobile easily. It can be said that online mobile recharge apps have eradicated the need for a paper recharge. It means it also contributes to the environment as well. The less paper will be used since paper recharge would not be made when all mobile users will start online recharge facility to recharge the mobiles. To buy a paper recharge card, you may need to leave your essential task in the middle of. But since here everything is online, you do not need to get confused at all. Moreover, everything gets easy and smooth. You can recharge your mobile quite safely. It is time to save your time and energy both. And do your mobile recharge easily without taking a break from your work. The fact cannot be ignored that online world is just full of pleasant surprises. Here, you can find the variety of deals, discount and other offers to get recharge done. So, what are you waiting for? It is time to go with the right online mobile recharge app without overthinking.